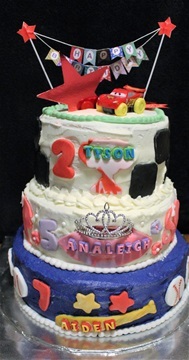 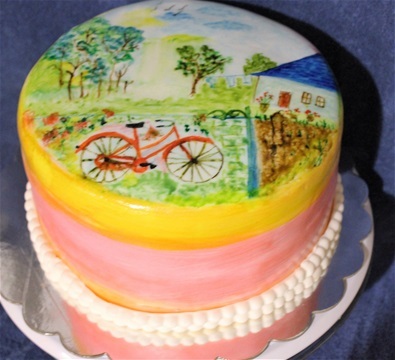 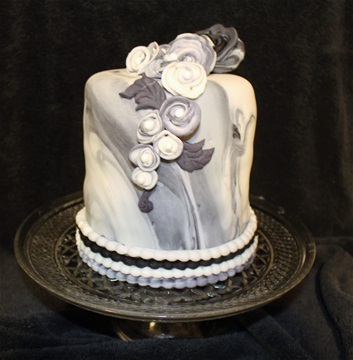 This cake is covered with fondant then hand painted with food colors. 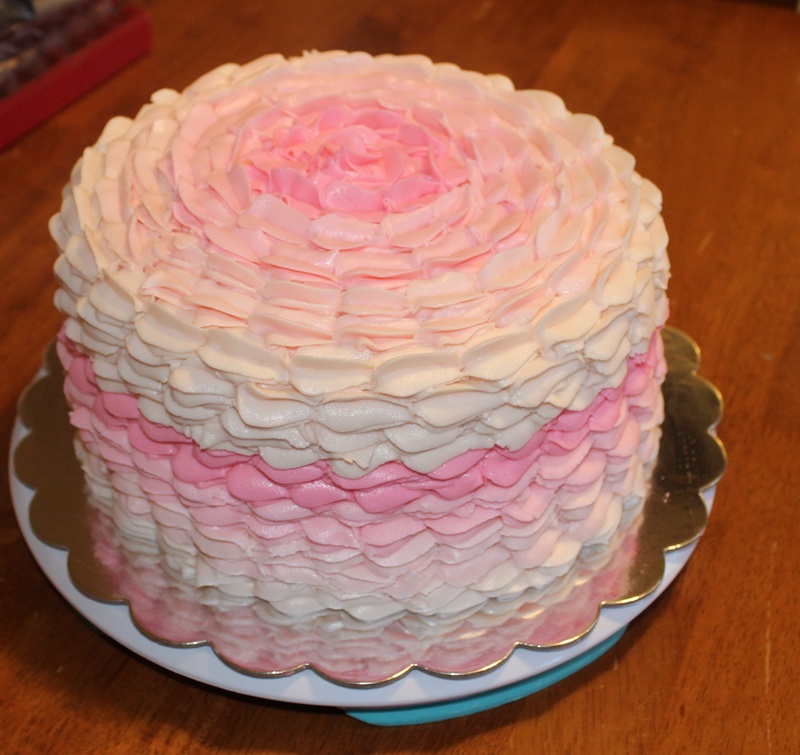 It turned out beautiful. 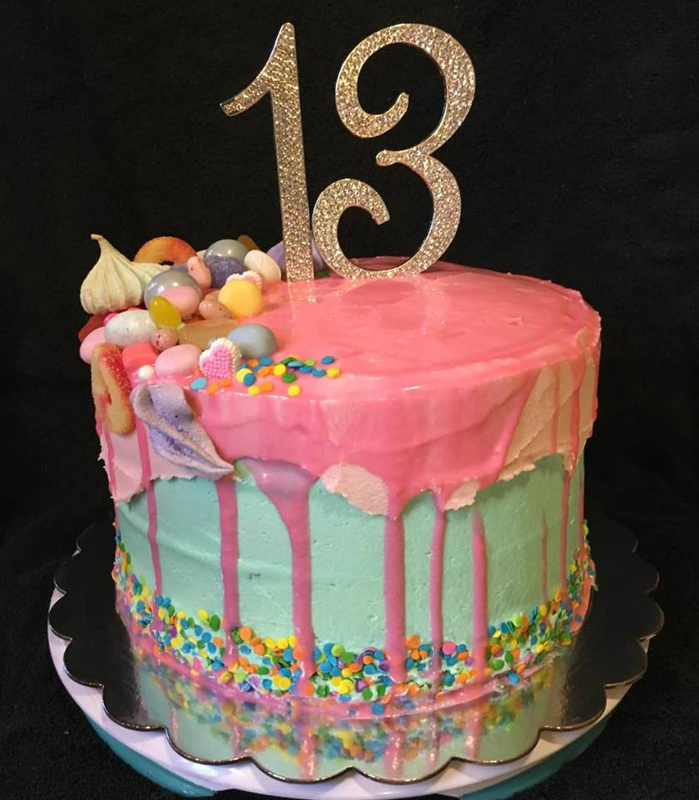 5 layer cake with buttercream icing and topped with ganache,candies & home made meringues. 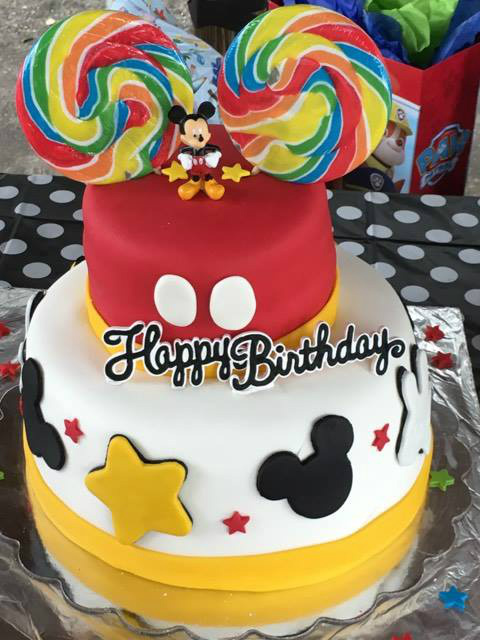 Mickey Mouse Cake. I made this for my grandson Samuel's 2nd Birthday. 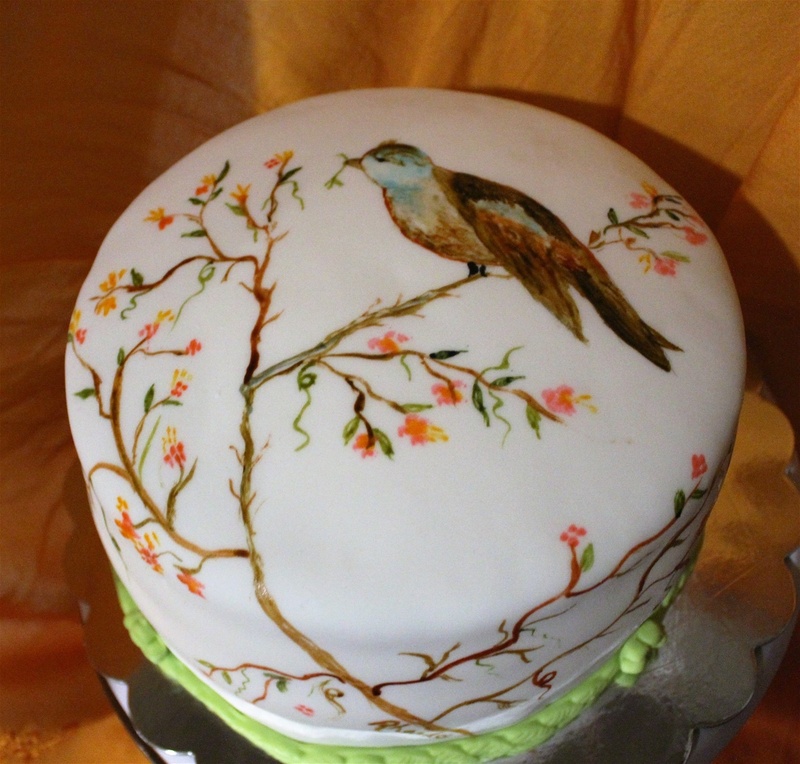 Another one of my hand painted 4 layer cakes. I absolutely love painting on cakes. Almond Butter Cake. 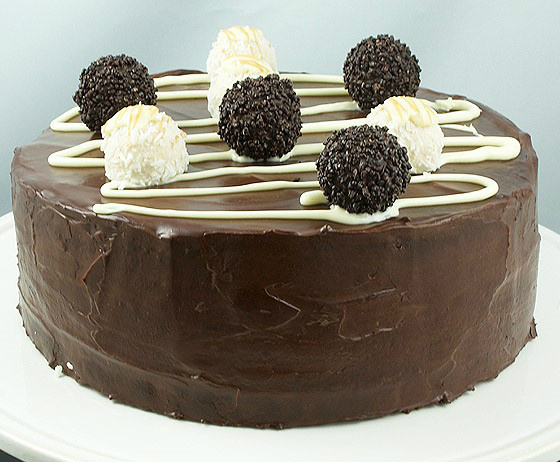 This cake is simply divine for a brunch or tea party. 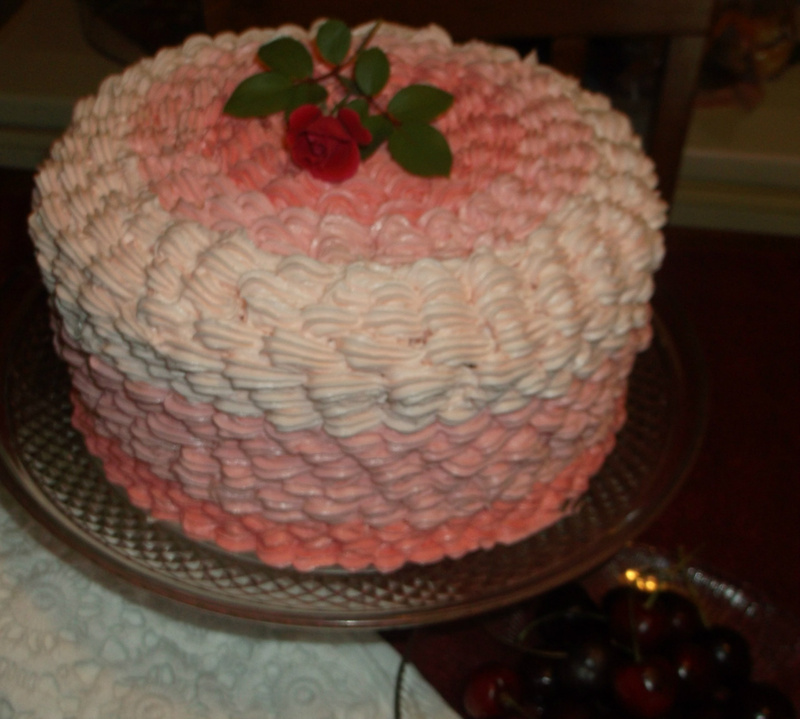 For a single layer 9" cake it was also one of the most expensive cakes I have ever made. 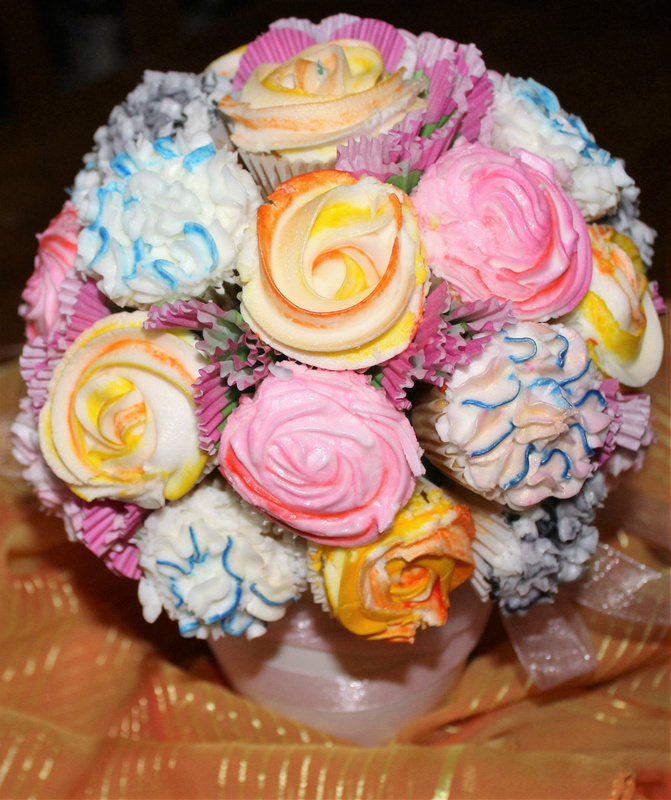 Mini cup cake Bouqet. I only do these with miniature cupcakes.These are beautiful but not recommended to people with small children as the cupcakes are held in place with multiple tooth picks. 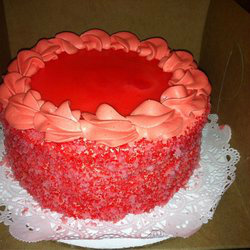 8 layer graduation cake, This cake was 4-14" layers of red velvet on the bottom and 4-9" layers on top. 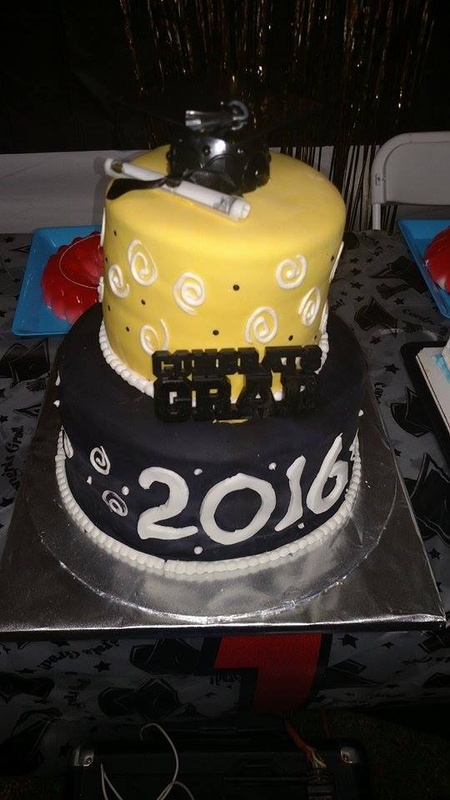 cream cheese flavored butter cream between all layers and on outside & top of cake and then covered with black and yellow fondant. 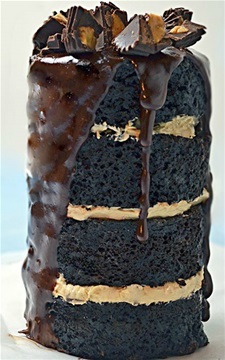 Million Dollar pound cake. 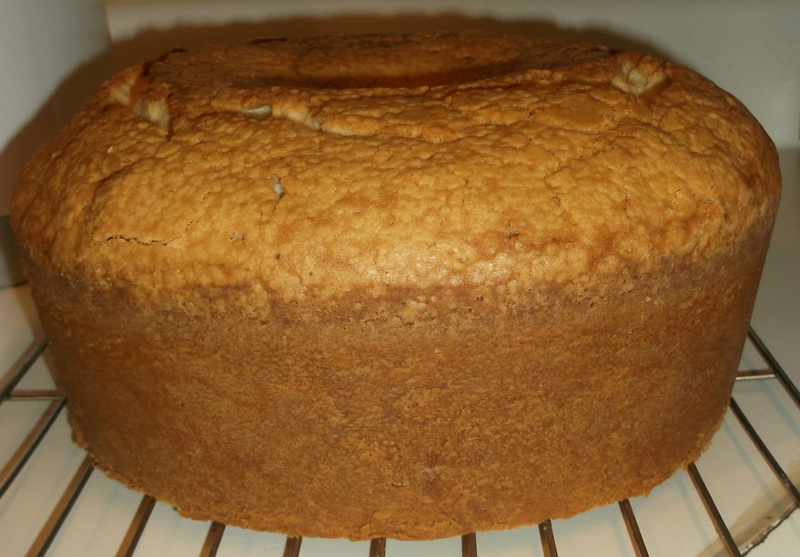 Very dense but also light I love this pound cake. It is nice size cake and I will warn you that you cannot eat just one piece. 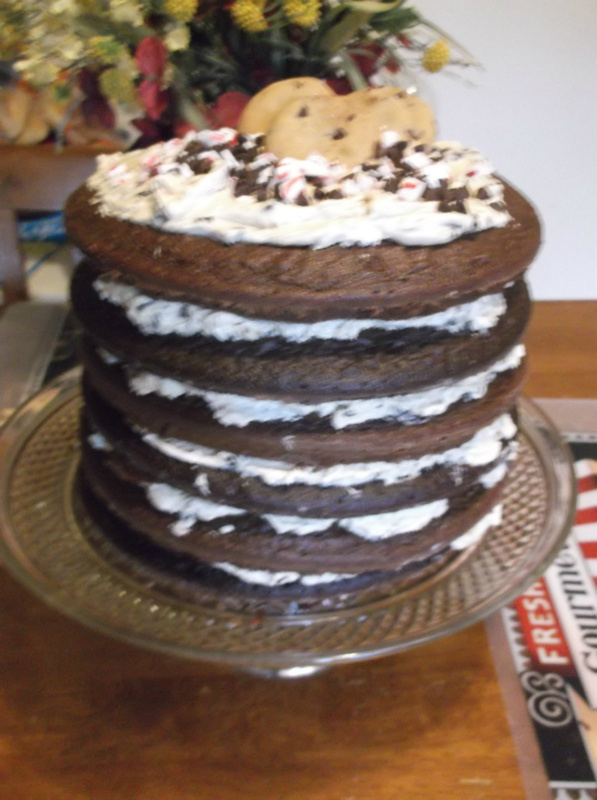 Double Chocolate Naked Cake, 6 layers with Buttercream Frosting and topped with brownie chunk cookies, chocolate chips,crushed peppermint chips. 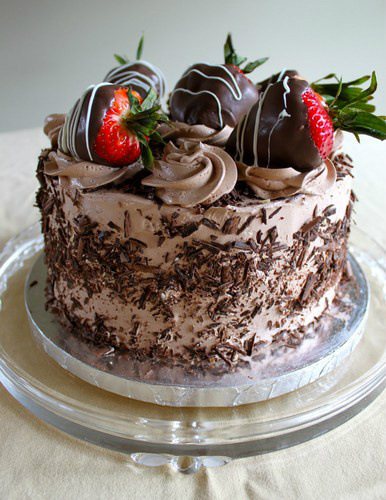 Four layer dark chocolate cake with a light whipped chocolate icing and chocolate dipped strawberries. 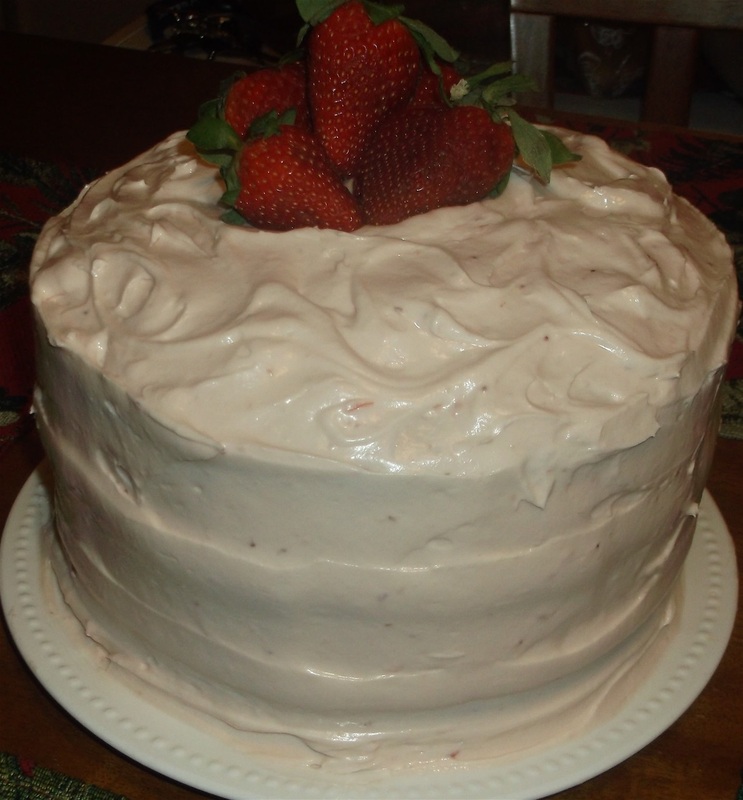 Strawberry Cake with Strawberry Buttercream Frosting. 4 layer Strawberry Cake with Strawberry Butter Cream Icing. 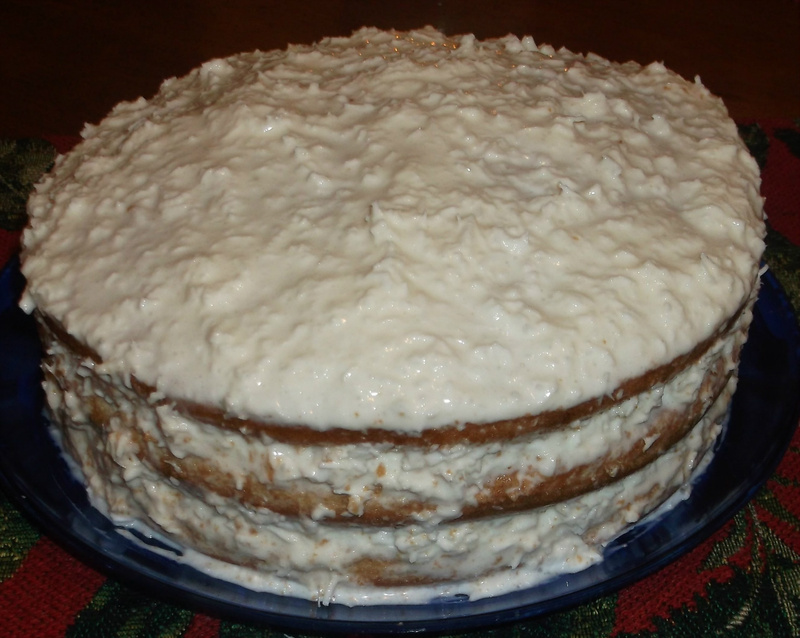 Butter layer cake with sour cream coconut icing. Strawberry 3 layer cake with strawberry icing. 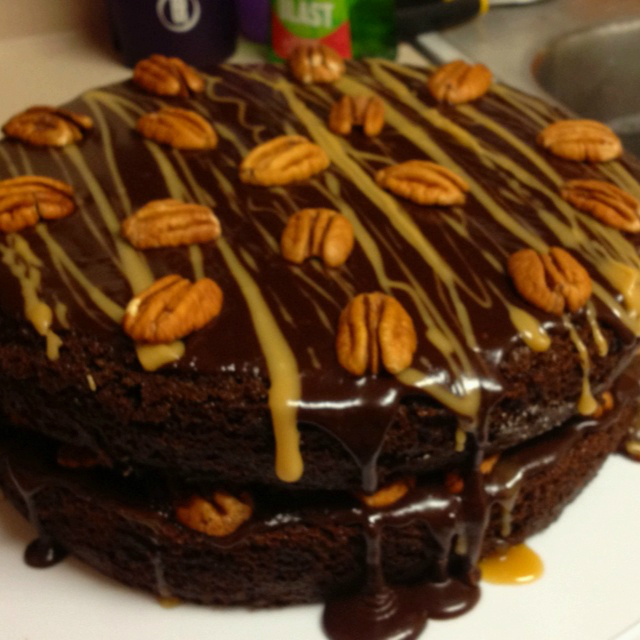 Chocolate Turtle Cake topped with pecans and coconut. This cake is (4) 9" layers with chocolate icing between each layer, The top and outside has a cooked fudge icing & then a caramel poured over top. 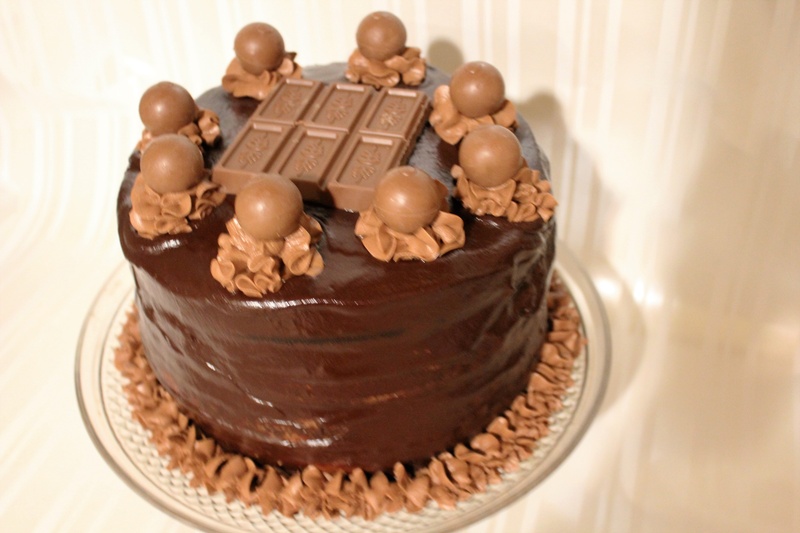 Four layer chocolate cake with a cooked chocolate candy icing, topped with lindt chocolate balls and bar candy. 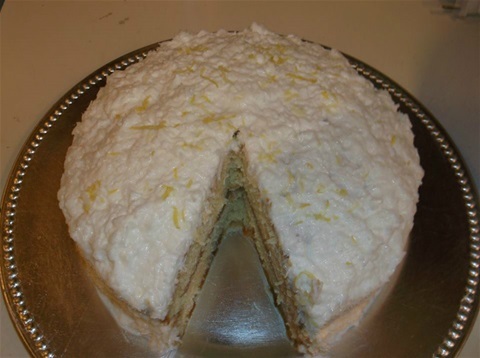 Carrot cake with orange cream cheese icing. 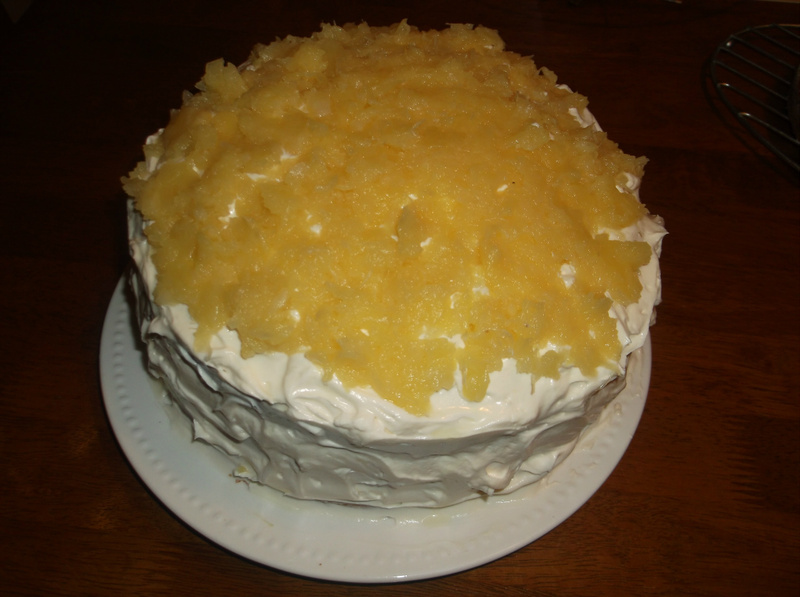 Fresh pinapple 3 layer cake with cream cheese cool whip icing, topped with chopped pineapple. 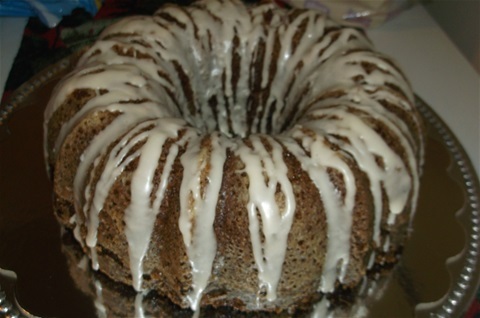 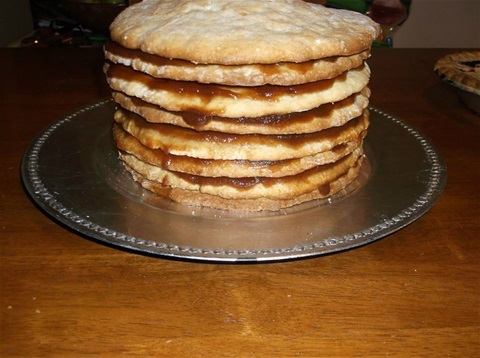 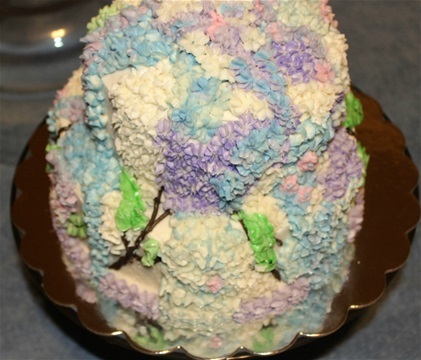 This is a great summer time cake and needs to be refrigerated until eaten. 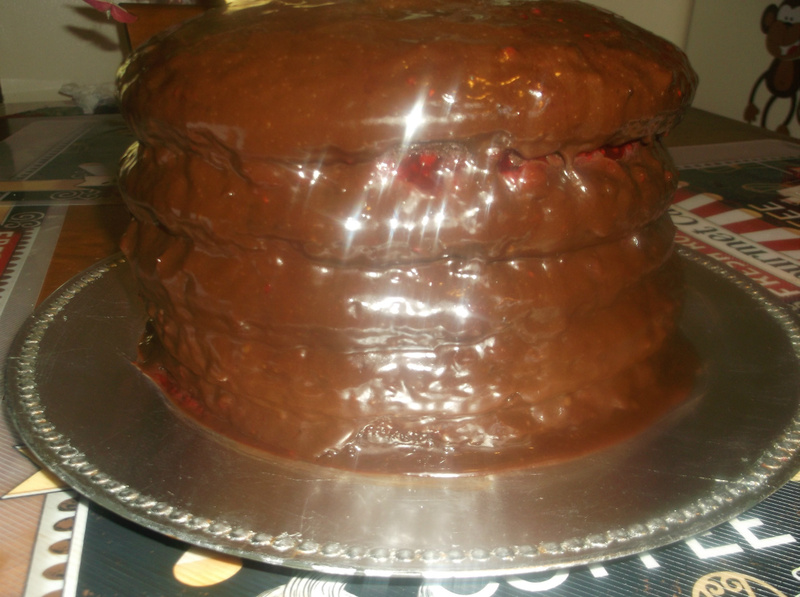 You can set it out approximately 30 minutes before serving. Vanilla Cake with Strawberry Icing. This is a vanilla cake with a pond cake like texture. 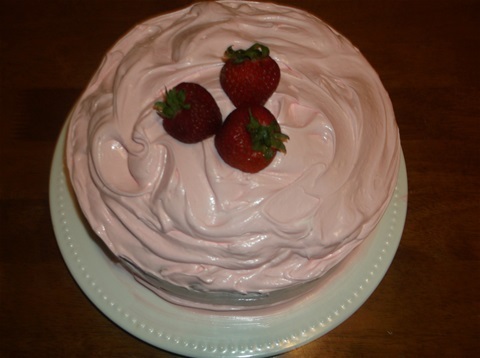 Strawberry flavored icing. 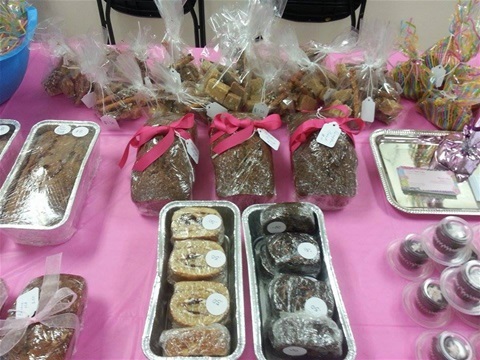 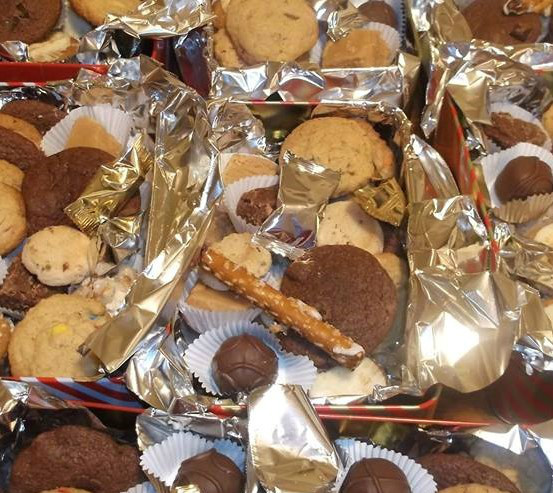 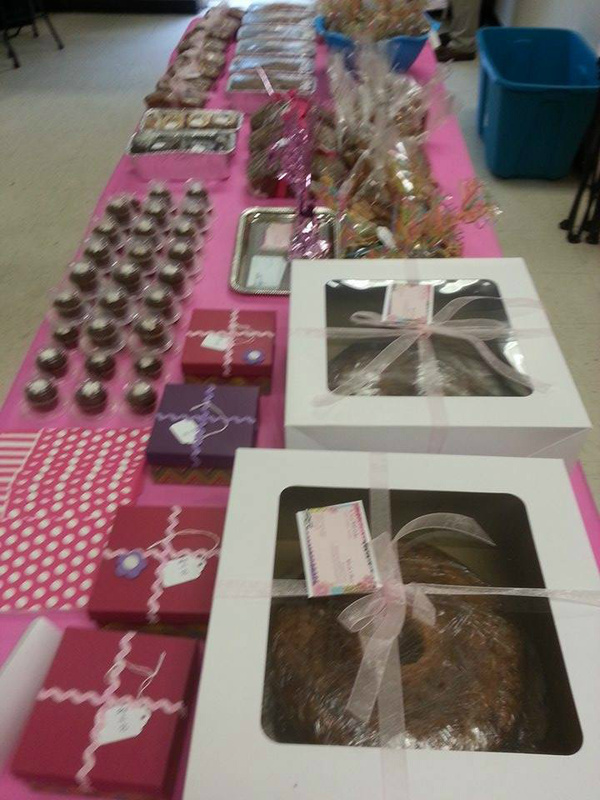 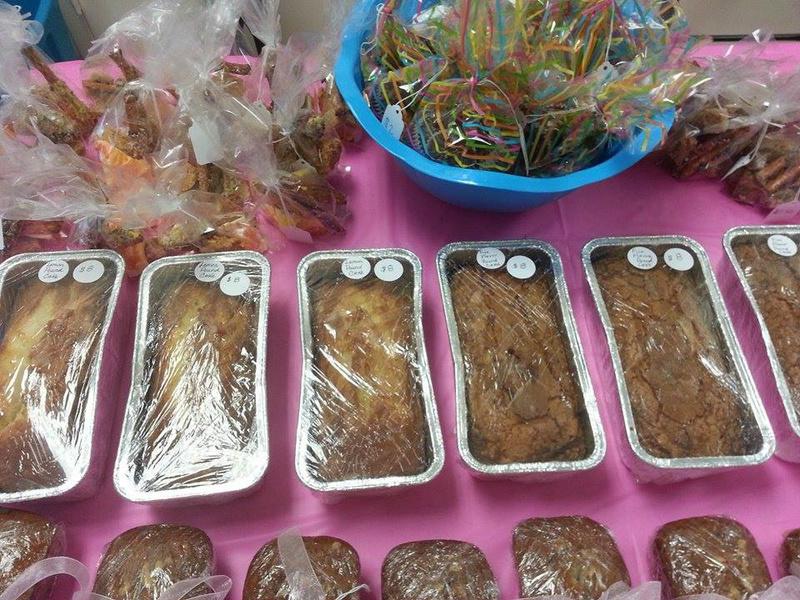 Boxed full size Pound Cakes, mini gift boxes with an assortment of candies, mini gingerbread cups, treat bags. 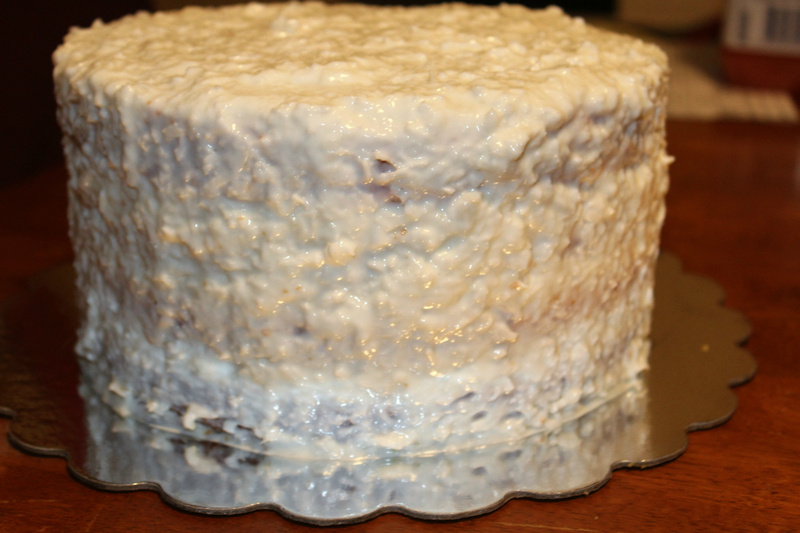 4 layer Butter Cake with sour cream coconut icing. Five Flavor Pound Cake . 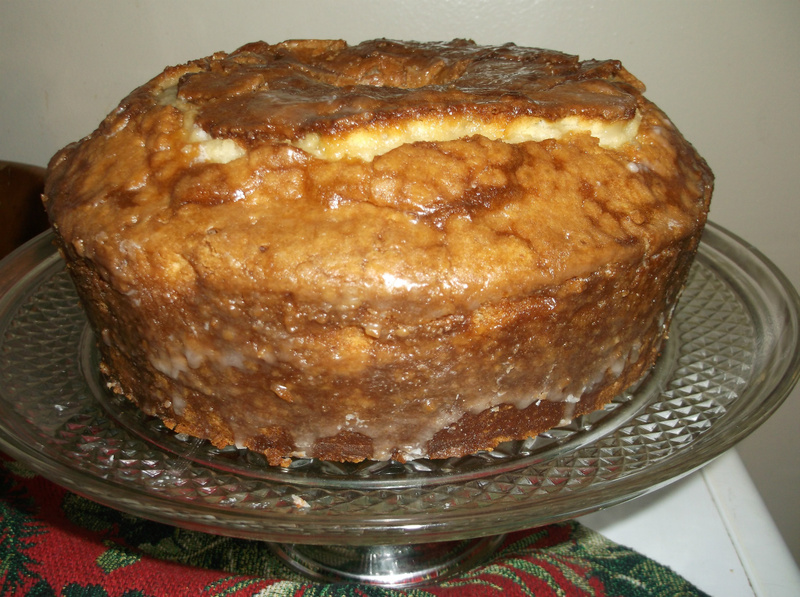 Five flavors in the cake and in the glaze. Giant Golden Raisin Oatmeal Cookies. 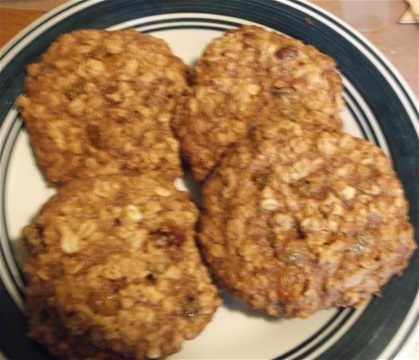 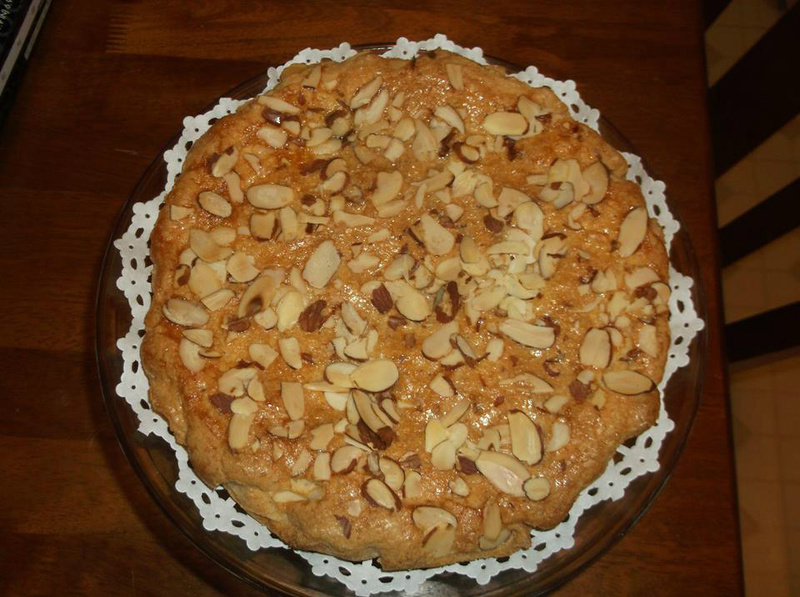 A large soft center cookie containing, honey, molasses & white & brown sugar, Contains both dark and golden raisins. 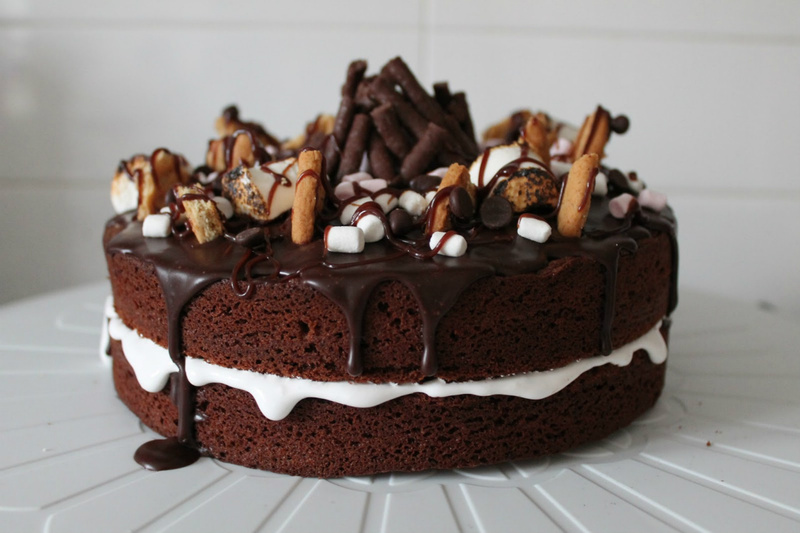 Double Chocolate Naked Cake . 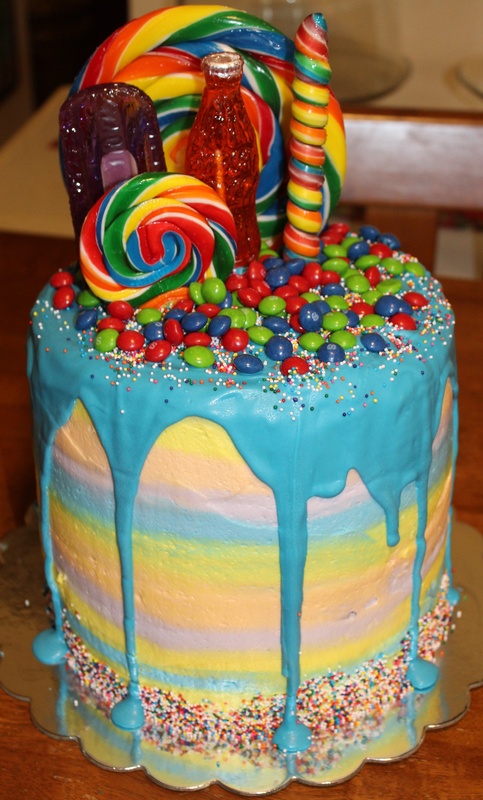 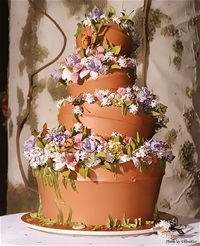 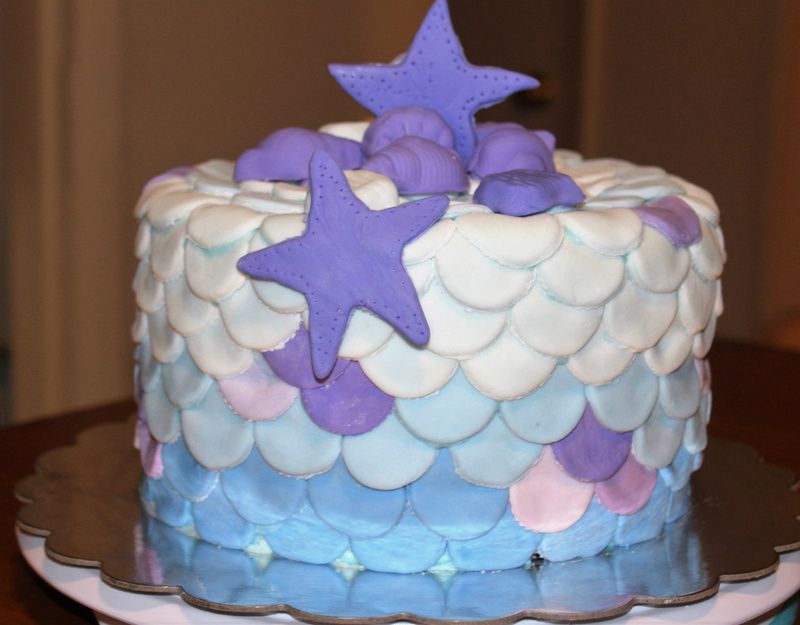 The cake is done with different colors from light to dark or multiple colors. Assorted Cookies and Candies. I always do this at Christmas time. 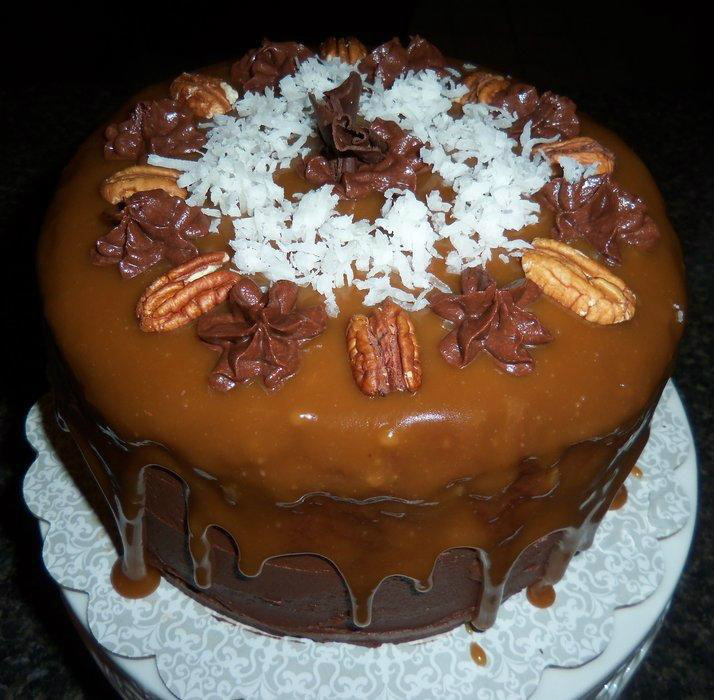 Pumpkin cake with chocolate cake on bottom , chocolate butter cream on sides and caramel over the top. 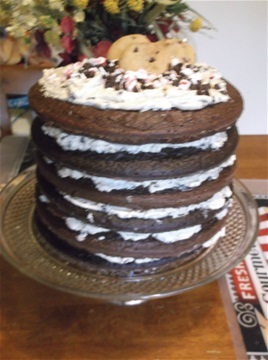 Topped with chocolate shavings. 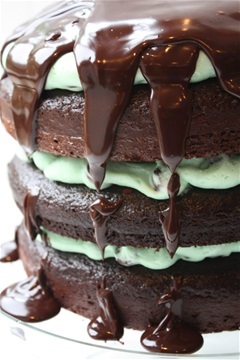 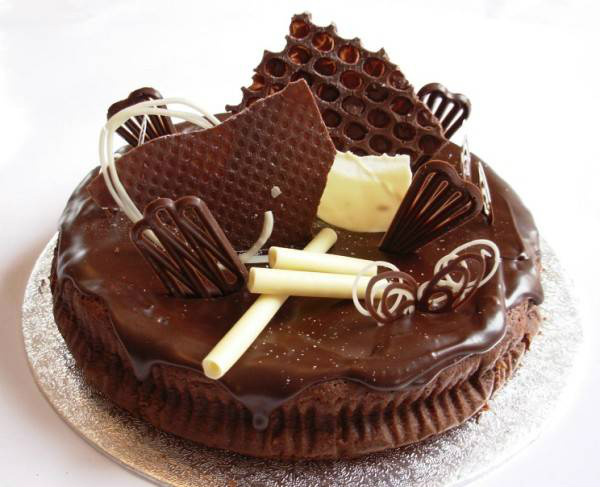 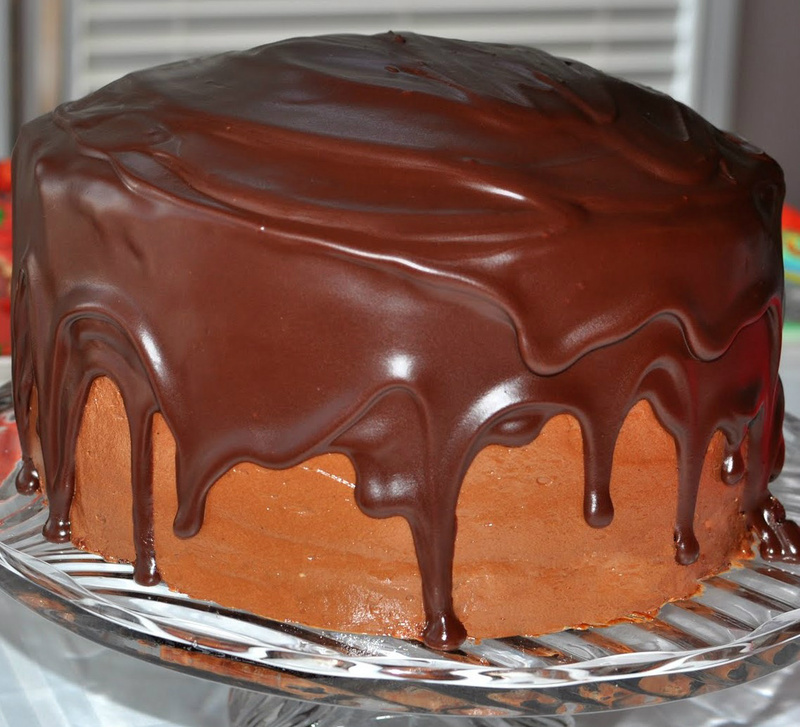 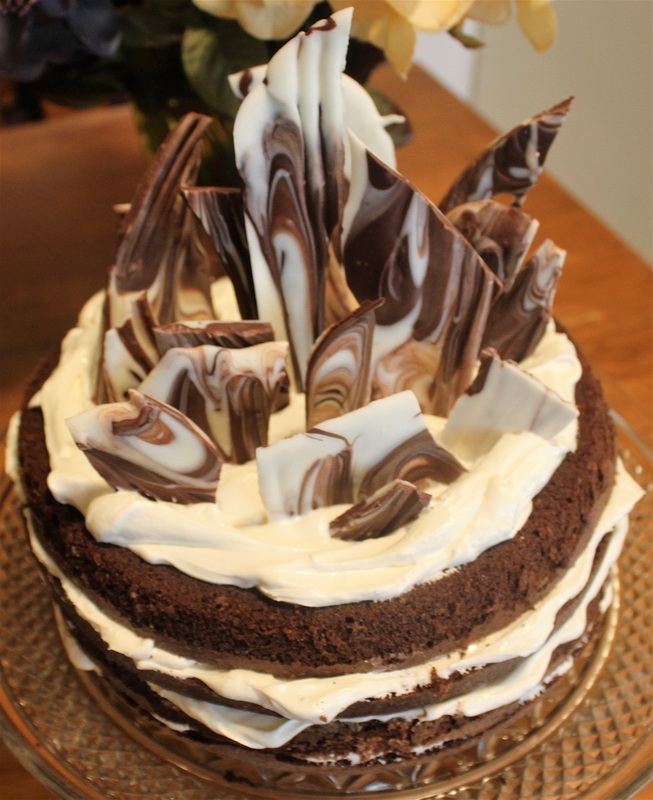 chocolate cake with cooked candy fudge icing. 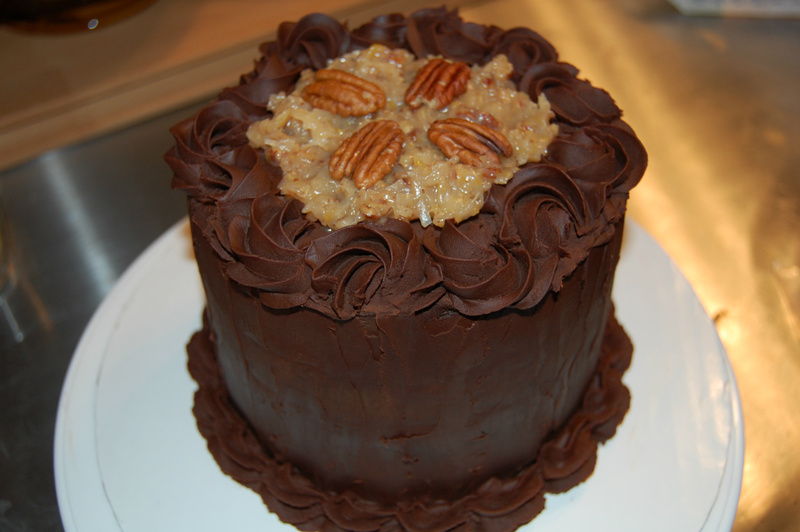 German Chocolate with German coconut icing between 4 layers and on top with chocolate butter cream fudge on sides and top edges. 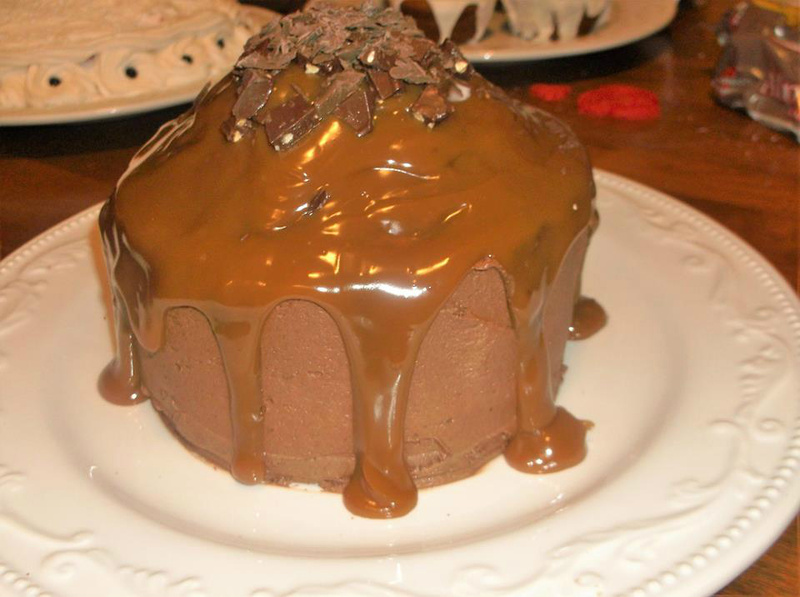 I personally love all the cakes I make, they are all very moist and have a very rich fresh taste. They are great for any get together and I guarantee no one else will have a cake like it. 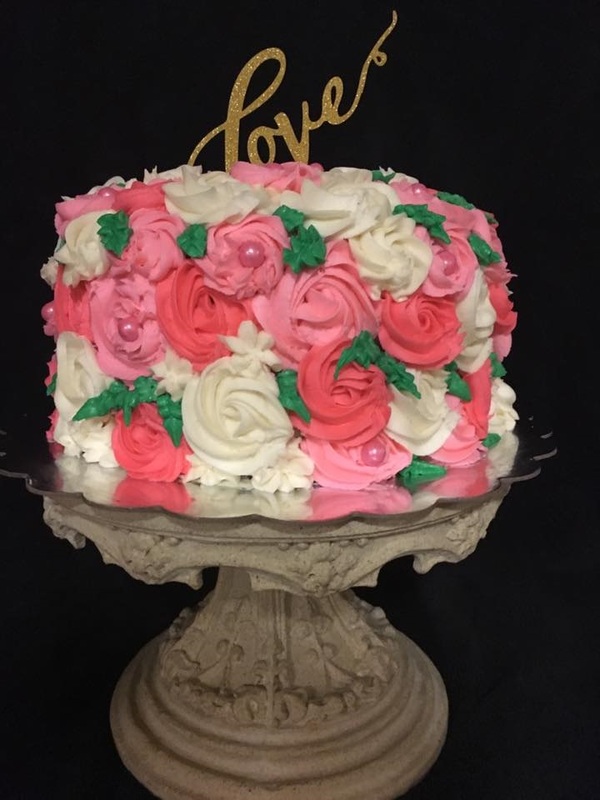 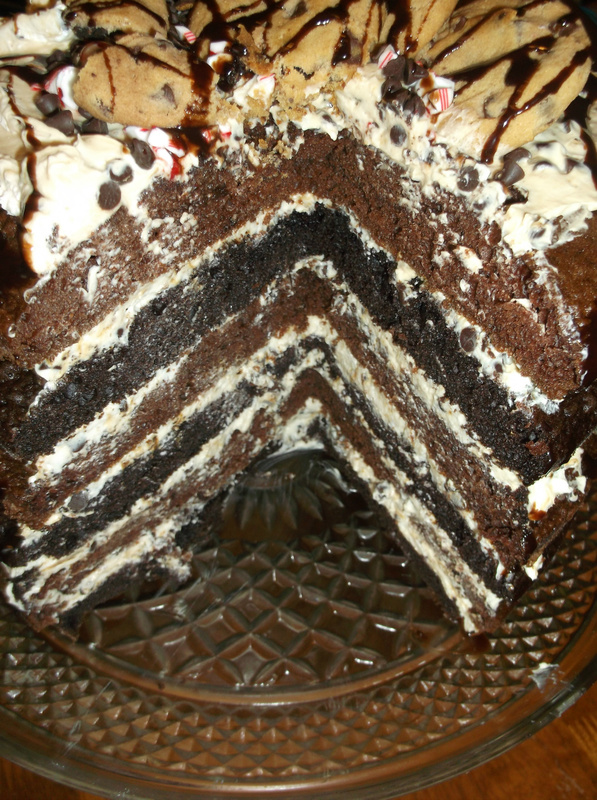 I do not use store bought frostings or icings, I make all of my own flavors and frostings, which include several types such as Butter Cream, Cream Cheese, Choclate Candy(which is a boiled fudge icing that hardens like old fashioned chocolate fudge) Sour Cream Coconut, and a regular sugar icing.